Foreign investors can open a company in Malaysia by setting up a trust in Labuan, which is a special region of the country that provides numerous tax advantages to businesses registered here. The main institution which regulates this type of entity is the Labuan Financial Services Authority (LFSA) and investors who want to operate on this market have to respect its rules regarding the incorporation or taxation. Our team of company formation agents in Labuan can offer assistance on the legal aspects related to the registration of a trust. Investors can set up a Labuan trust under the regulations of the Labuan Trusts Act 1996 and the Labuan Special Trusts and Labuan Foundations 2010. Those who are interested in company formation in Malaysia should know that the local legislation also recognizes the Islamic trust, under the regulations of the Labuan Islamic Special Trust. In order to open a trust in Labuan, Malaysia, the investors will have to draw a trust deed, which is the main statutory document of the entity. Our team of company formation representatives in Labuan can offer more details on the provisions of the document, but it is important to know that it establishes the rights and obligations of the trustee and the settlor (the person who establishes the trust). The trustee can be represented by a natural person or a legal entity which has received the right to manage assets in the name of a certain beneficiary. In Labuan, a trust can have any number of trustees, as long as one of them is represented by a Labuan trust company. Confidentiality is the first thing to consider when setting up a Labuan trust. The owners’ personal information is protected and cannot be disclosed to the public. This is a guarantee of Labuan FSA, the institution in charge of Labuan trusts registration. Complete control of trusts is available if a Labuan trust company is set up privately. Owners of such trust have complete control and can decide on the ways in which the trust is organized, and on the duration of the trust in order to meet the business needs. It is good to know that a Labuan trust can be registered for a fixed period of time or for an indefinite time, as long as it respects the rules and regulations for setting up trusts in Malaysia. There are specific rules regarding the personnel of a Labuan trust company. Such an entity can be established if a settlor, a protector, a beneficiary and a trustee are appointed. The settlor can be a natural person or a company, in charge of creating the trust by transferring the assets. The protector or the enforcer is normally appointed by the settlor and he/she has to oversee the activities of the trustee. The enforcer can provide guidance and information to the trustee in the advantage of the beneficiaries. The trustee holds the trust and the obligations for its administration for the benefit of the Labuan trust beneficiaries. 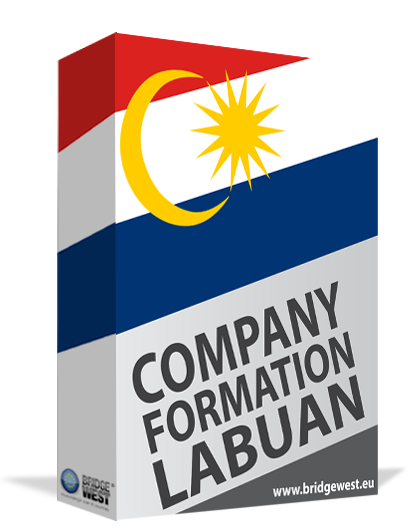 Corporations, charities or natural persons can be the beneficiaries of a Labuan trust. As for the operational conditions for setting up a Labuan trust, these refer to a registered office which will represent the service address for any kind of documents. All of the accounting documents need to be kept at the address connected to the trust company established in Labuan, Malaysia. Another important requirement which needs to be respected at the time the Labuan trust is established is to provide to Labuan FSA a status update about the trust, once in six months. We remind that Labuan trust companies need to activate in compliance with Anti-Money Laundering and Anti-Terrorism Financing Act 2001, an important set of laws in Malaysia. How does the Labuan trust company functioning? From the beginning, it is good to know that the Trust Deed is the main controlling document with complete information about the terms and conditions, and about powers of the trustee. A trustee needs to be appointed to Labuan trust company at the time of registration. It is good to know that there is no limit regarding the number of trustees and no capital requirement. However, one should bear in mind that if the trust is involved in trading activities, a 3% tax rate is applicable to incomes. If properties from Malaysia are involved, the local tax of 24% rate is applicable. • the purpose trust has no beneficiaries and it is created for charitable purposes in Labuan. It is extremely important to decide on the type of trust company you want to establish in Malaysia, and complete guidance in this sense can be provided by our team of company formation representatives in Labuan. Our team can also assist you when setting up an offshore in Malaysia in regards to the rules and regulations in this matter. Complete control and flexibility are provided by a Labuan trust company. Moreover, the distribution made to beneficiaries of a trust is exempt from taxation. However, it is best to observe local taxes involving the real estate properties in Malaysia. The duration of the trust can be indefinite or can be fixed, as agreed with the trustees and beneficiaries. Also, we remind that trusts are highly protected in Labuan, especially in the cases of marriage termination and divorce claims. Please do not hesitate to get in touch with our team of representatives and find out all the requirements in matters of Labuan trust companies. Businessmen who are interested in the procedure of company registration in Malaysia under the form of trust must know that the Labuan legislation does not require investors to participate with a specific capital. If the trust is involved in trading activities, it will be imposed with an audit tax at the rate of 3% or RM 20,000. The investors can opt to pay the 3% tax rate when performing the audit, or they can choose to pay an annual sum established at RM 20,000 without performing the audit. Moreover, if the company's management will choose to pay the RM 20,000, the trust will not be required to file the financial statements. We invite businessmen to contact our team of company formation consultants in Malaysia for more details related to the Labuan trust and the taxation system available in this case.